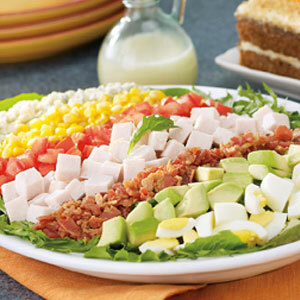 Ever wonder what makes a Cobb salad a Cobb salad? I did some research for us. Let’s start with the name. Apparently, some restaurant owner by the name of Cobb was famished after a busy night in his famous Hollywood restaurant. He threw together a bunch of leftovers from the kitchen, tossed in some bacon from the line, and topped it with their French dressing. Seems legit. I can definitely relate to that hangry feeling around 1am after a cray cray Friday night. And just in case you forget what goes into that COBB? 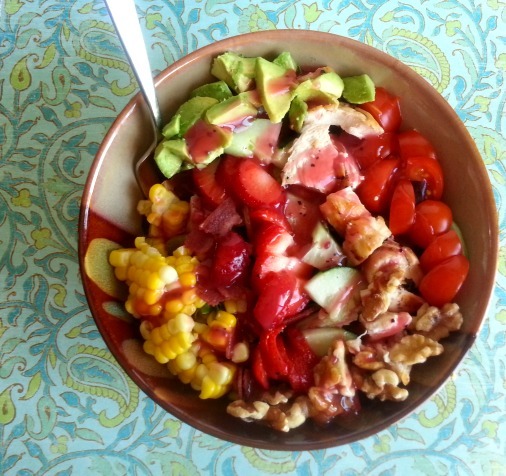 Remember this, EAT COBB: EGG, AVOCADO, TOMATO, CHICKEN, ONION, BACON, BLEU CHEESE. But let’s be honest, there are billions of variations of the Cobb listed on menus everywhere, but they always seem to have one thing in common. Bunches of tasty ingredients layered atop a bed of lettuce. 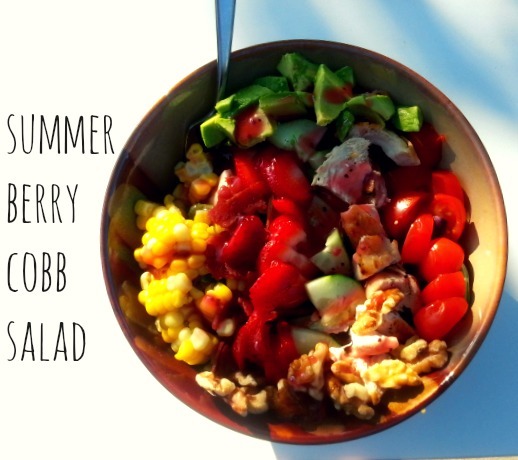 And while eating a salad that I threw together the other night, I realized that the little concoction I threw together might make for a pretty fantabulous Cobb salad. So I made it again (and again and again) and tried to make it look pretty for ya. Place Romaine and spring mix in bottom of large salad bowl. Top with remaining ingredients, layering each across the top of the lettuce. Next Post National Dog Day!